“Gender neutral”, “unisex” and “gender inclusive” are the hottest terms in childrenswear lately, and some want to eliminate labels all together. Here’s what to know about the category, and what this individuality-first attitude means for the industry. We’ve long since realized that it is (more than) okay for boys to don shades of pink, and for girls to take on hues of blue. But as gender designations become increasingly less rigid and restrictive, fashion is embracing individuality and rejecting traditional thinking. And luckily for the generations to come, this trend is not just reaching childrenswear as an afterthought. In fact, the industry is trailblazing the movement. Some call it “gender inclusive,” others “unisex” and still others “gender neutral.” Some are presenting brands whose clothing focuses on one gender (or both), with the aim of battling stereotypes and empowering the wearer. Others still prefer not to refer to gender-anything at all and, instead, let the clothes—and the kids who choose them—speak for themselves. Martine Zoer, owner of Quirkie Kids, notes, “I wish we could just call it clothes for kids. Not just for boys. Not just for girls. But for kids.” She adds that using terms like “gender neutral” can cause needless confusion, leading some to believe the term applies to the children, not the clothes. Emily Bennett, owner and designer of Baby Blastoff! 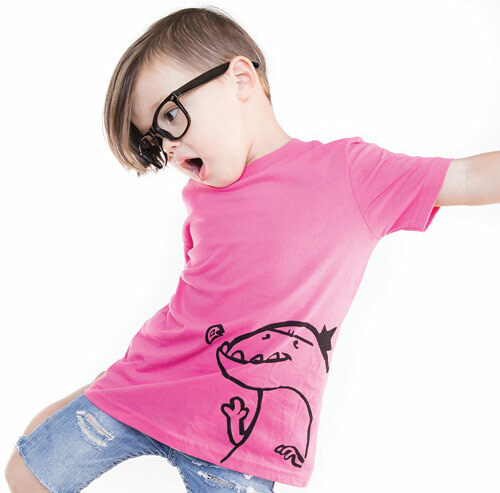 defines “unisex” and “gender-neutral” clothing as synonymous while Eva Everett, co-founder of Svaha Apparel—a brand whose girls’ clothes have a specific STEAM-theme (Science/Technology/Engineering /Art/Math)—says that “gender-neutral” clothing showcases any topic, theme or color and is available to either gender, despite traditional societal gender constructs. “Unisex,” on the other hand, just means an item of apparel can be worn by a boy or girl, she opines. Others believe that the difference is just in the marketing, that “gender inclusive” is a more suited term, or that “unisex” refers more to a style or shape that is just traditionally both boy- and girl-appropriate. But while interpretations vary, the mission at the heart of the matter appears to remain the same: empowering the littlest members of society to embrace what they like and who they are. Katie Martino, founder and CEO of Entirely Me, remembers walking down retail aisles as a child, disliking that she was supposed to choose from only the “girls” options. The result is Entirely Me, which will be launching with a Kickstarter campaign this fall. Martino wants girls to decide whether or not they like dresses and pink colors and boys to decide whether they prefer blue—it should be the kid’s choice. “Before about the age of 8, boys’ and girls’ bodies are very similar, but as adults we choose to disassociate them,” she explains. She cites both traditional as well as new silhouettes as a part of the brand’s upcoming offerings, highlighting a “longline” style: essentially long shirts that can be used more like dresses or tees depending on the wearer’s preference—boy or girl. Melissa Atkins Wardy, CEO and founder of Pigtail Pals & Ballcap Buddies, adds that having a daughter opened her eyes to the sexism and sexualization that girls are exposed to at—unfortunately—very early ages. 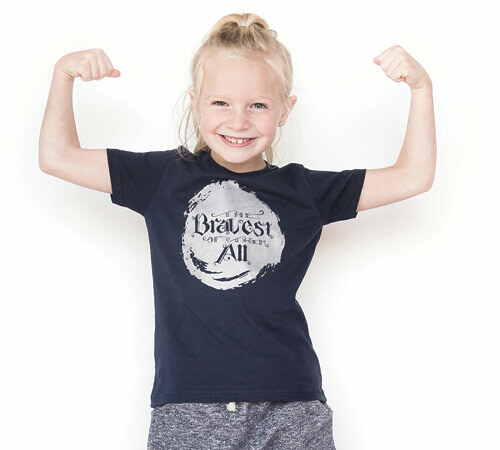 “Research has told us how harmful this is, so I wanted to create empowering apparel that spoke to how smart, daring and adventurous little girls are,” she says. “I wanted to focus on what girls can do, rather than what they look like while doing it.” The CEO launched Pigtail Pals in 2009, initially as a girls’ empowerment brand but added designs later to include boys and to address boy stereotypes, as well. She reintroduced the “gender-inclusive” company as Pigtail Pals & Ballcap Buddies in 2011. But whether its playing with color schemes, testing out new silhouettes or using everybody-friendly prints, Bennett points out, “We are not yet culturally to the place where big ruffles and drapey silhouettes are worn by boys and men in the mainstream—I think this is a real shame.” She notes, “We have found that it is quite acceptable for parents to put their daughters in ‘boy’ clothing, but people are still quite uncomfortable putting feminine styles on their boys. Our designs, up to this point, have kept this in mind, relying mostly on masculine silhouettes while incorporating feminine colors and imagery.” Choksi adds that non-gender specific styles are still an emerging concept in the industry. “I believe the trend is definitely picking up speed in childrenswear, but it is still viewed as a niche and most big retailers either have not changed at all or are barely dipping their toe in the trend,” she explains. Courtney Hartman, owner and designer of the Jessy & Jack and Free To Be Kids brands, believes that brick-and-mortar retailers are running behind. “In a typical retail store you seldom see butterflies, cats, the word ‘love,’ or the colors pink or purple in the boys’ section. You don’t often see empowering messages, math themes or ferocious animals in the girls’ section,” observes Hartman. Instead, she continues, the gender-bending apparel movement is “almost completely driven” by small, independent clothing brands like her own that sell online, directly to consumers who find the brands via social media. “The success of small direct-to-consumer brands like mine is largely a backlash against the limits that larger retailers and brands are placing on our children,” she affirms. But the category still has a ways to go. Kristin Nystrom, creative director and founder of the Gardner and the Gang line—which has collaborated with model and actress Jaime King—acknowledges that while there are a lot of positive reactions to the approach, some parents feel offended or upset and others are still getting used to the idea. Hadley adds, “What kids wear affects the way they are treated by the outside world as well as the way they feel about themselves and what they think is possible for them in their lives.” Co-founders and chief creative officers of Princess Awesome, Rebecca Melsky and Eva St. Clair, sum up that “stereotype-busting” products are important because these clothes can send the message to kids that all colors are for all kids—as are dinosaurs, science, rainbows and kittens.